BROOKLYN HEIGHTS – The President of Brooklyn Bridge Park, Eric Landau, on Monday evening updated members of Brooklyn Community Board 2’s Parks Committee on the status of Squibb Bridge. 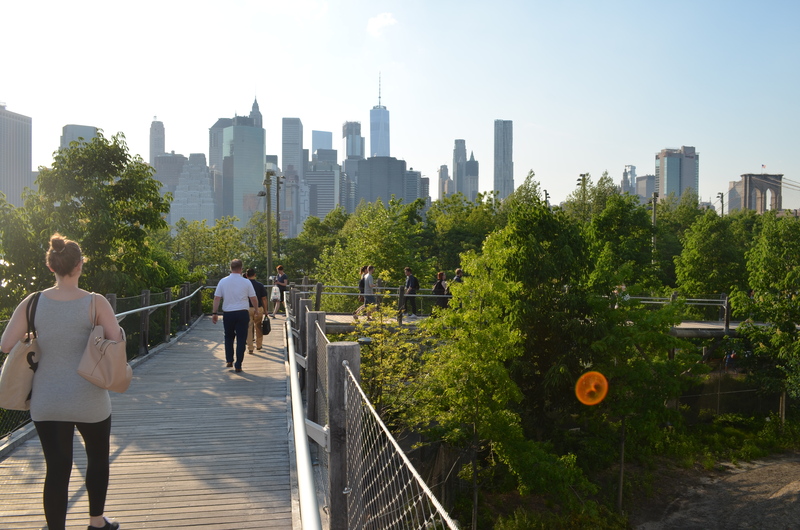 As announced in December Brooklyn Bridge Park Corporation is planning to replace the problematic Squibb Bridge, the bouncy 450-foot-long wooden walkway that connects Squibb Park to Brooklyn Bridge Park’s (BBP) Pier 1. After a $3.4 million retrofit, the bridge reopened in April 2017, only to be shut down again after 15 months, this time due to the deterioration of several pieces of structural wood supporting the overpass. “The bridge was made out of black locust wood and black locust was specifically selected for its durability,” Landau explained. “There are lots of theories” as to what may have caused the wood to decay he said, before noting, “We may never know the real reason. What we do know, what no one disputes, is that the wood itself had significantly decayed. It had rotted.” The bridge was closed to the public a second time in July 2018 and has been closed since. 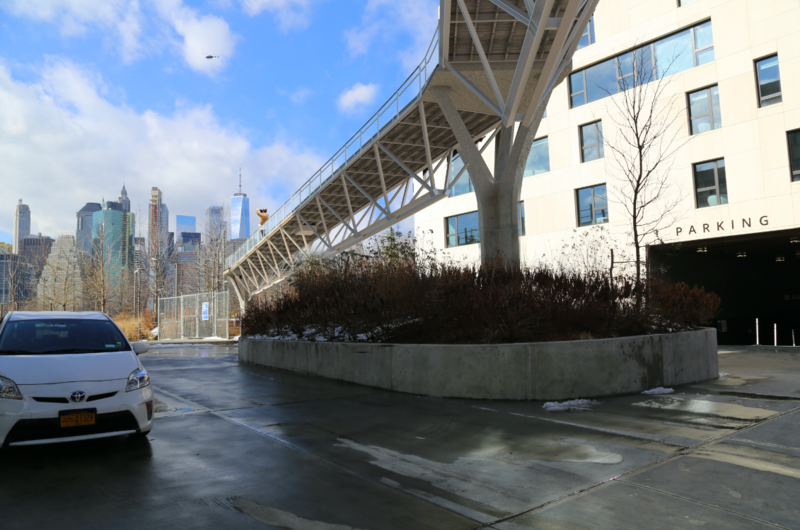 BBP worked with its engineer Arup in finding two solutions for making the bridge safe for pedestrians. The first option involves once again retrofitting the existing bridge at a cost of $4 million. This solution would take approximately a year. The second scenario would “knock the bridge down and start over,” Landau said. The current concrete in-ground support structures will remain and be reused for the new bridge and the design and layout will be similar to the existing walkway’s. Pre-fabricated steel will be used in the new bridge which “would allow [BBP] to have a certainty about the life of the bridge,” Landau noted. This plan would cost $6.5 million and take 18 months to complete. This is the plan the Park selected. Landau added that if the bridge were retrofitted again, it would only be a matter of years before the structure would require significant annual maintenance which would ultimately end up costing more than building an entirely new bridge with steel. 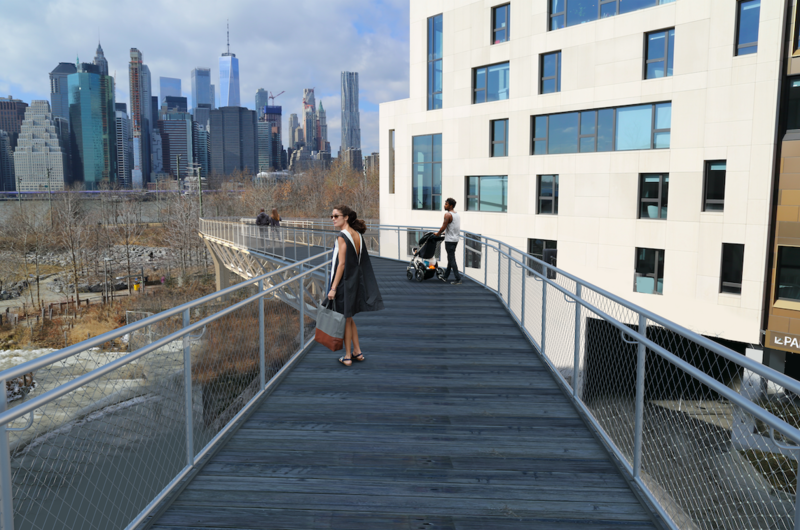 While the initial $4 million construction of Squibb Bridge was paid for by city capital funds, the $3.4 million retrofit was paid for by BBP’s operating reserve budget which will also pay for the new $6.5 million bridge construction. BBP sued HNTB, the original engineer, for “faulty design” and settled out of court for just under $2 million, according to Landau. BBP will wait until the Fall, after peak season, to bring in a crane to dismantle the existing bridge. The new, non-bouncing bridge is expected to be completed by Summer 2020.